Our MISSION is to provide friendly, professional services in an easily understood way so that you can build your business with confidence. Our COMMITMENT is to deliver high-quality advice tailored to your specific business and industry needs. Our STAFF are experts in the federal, state and local regulations and tax codes.They are dedicated to minimizing your taxes and saving you money. 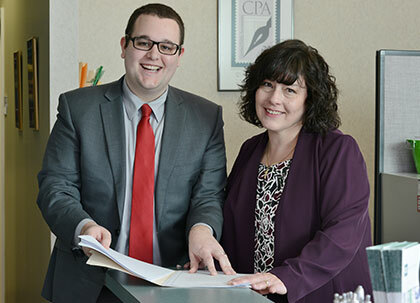 Our certified public accountants are committed to getting you the biggest tax refund allowed to you by law. If you’re in the healing business – be it doctor, dentist, chiropractor, vet, physical therapist – we know your day is full. We make record keeping efficient & accurate. Our small business construction accountants help companies understand and comply with business and tax filing requirements. Let us be your back office. With limited hours in the day, how do you take care of your customers and also take care of all of the red tape that the government requires? By letting us help! 7 Last-Minute Tax-Saving Tips & Are Catch-Up Contributions For You?